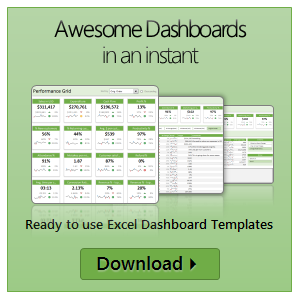 We all know that data validation is a very useful feature in Excel. 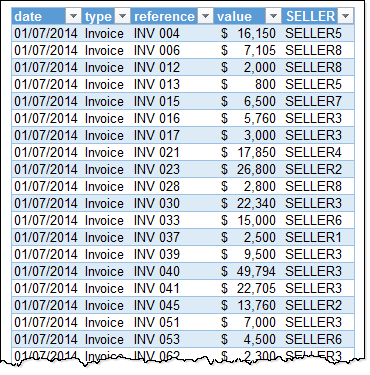 You can use data validation to create a drop-down list in a cell and limit the values user can enter. But, do you know that you can use data validation in a multitude of ways to prevent users from entering wrong data? 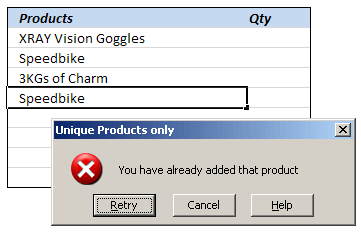 Here is a practical application: Prevent users from entering duplicate values in a range of cells. For eg. you are making an invoice. 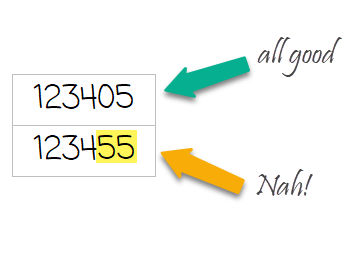 Wouldn’t it be cool if Excel prompted you when you enter a duplicate line item so that increase the item quantity instead of repeating it. What are the formulas you wish Excel had ? Here is a list of formulas I wish MS Excel had. Alas, we need to build some work-arounds to solve them though.